They are straight forward and easy to do, but they take a lot of time with the music writing. Basically it is a 'tutorial' for the Music Writing hobby. This is a time-limited quest, you're give 7 days (6 days and 23 hours remaining at the start. 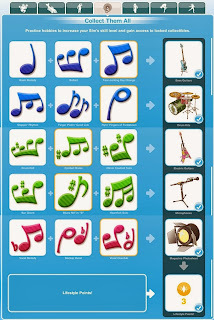 Unlocks: access to the Teen Idol Hobby, Teen Idol instrument actions and to build the Simtown Sign on the Town Map. Reward: Premium Teen Idol musical instrument pack (Available in the Online store if you didn't finish in time). Important: choose your teen wisely, there can be only ONE Teen Idol!!! (The Mayor says this town is one famous teenager away from becoming Sim Nation's #1 hot spot for celebrities! If you could get JUST ONE famous teenager, they’ll celebrate Sim Town's status by putting up a Sim Town Sign! Buy some Magazines, you need to read up on what it takes to reach stardom! (Ah there it is: Teen Celebrity magazine. Get one of your Teenage Sims to read it! Completing the goals within the indicated time will unlock you a set of "premium" instruments. 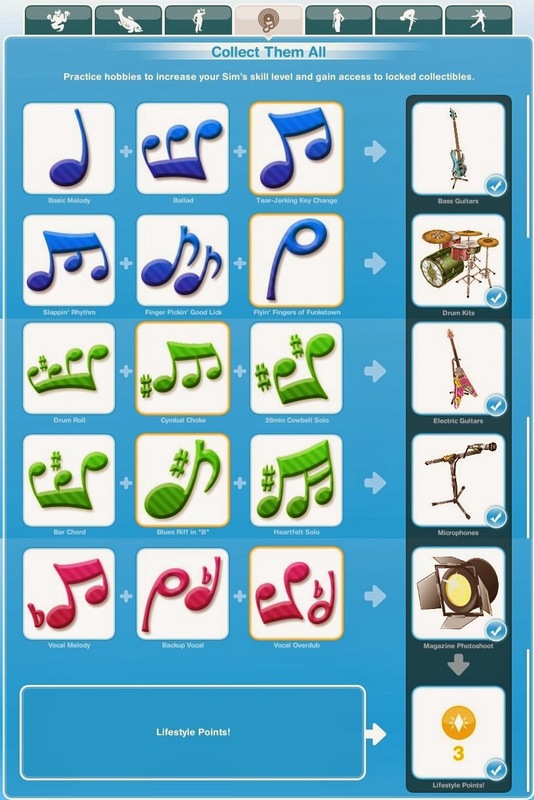 These are 3 star instruments, costing § (Simoleons) instead of LPs. Now that you have finished the Road to Fame quest, it is time to start collecting the fame-related resources. Some are given randomly, but the simplest way to collect them is by doing the Music Writing hobby. The required resource are: TV Show Cameo, Radio Interview and Magazine Photoshoot. The sign works like the monuments and goes up to level 3. 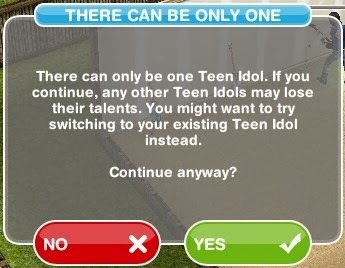 Once you've reached that, you've unlocked the Teen Idol Mansion. The first one you build is free, the next one costs you §s. 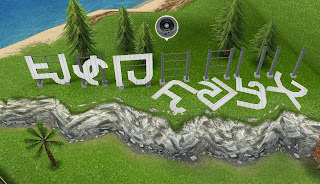 The Sim Town sign also gives randomly additional bonuses to the revenue collected from the map. At level 3 that is § 600. There are no additional levels. These bonuses show like the monument bonuses but the icon has an H or Terra icons. These bonuses are not restricted to one for the whole map, but can appear at multiple buildings during collection of the revenue.